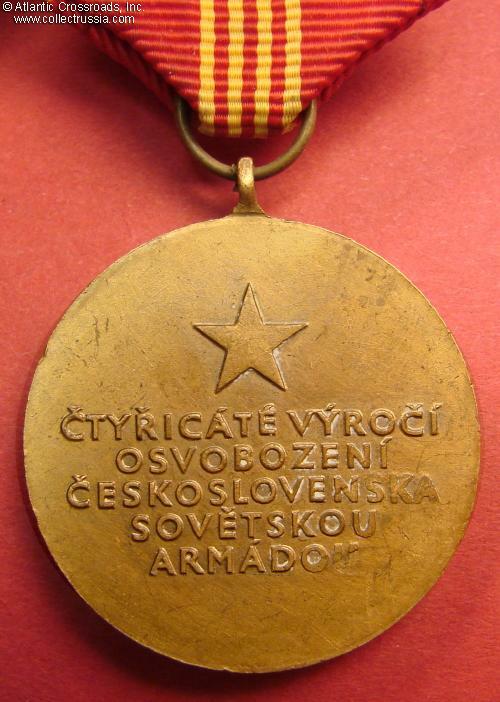 Medal in Commemoration of the 40th Anniversary of Liberation of Czechoslovakia by the Soviet Army, 1985. In brass, 31 mm wide. 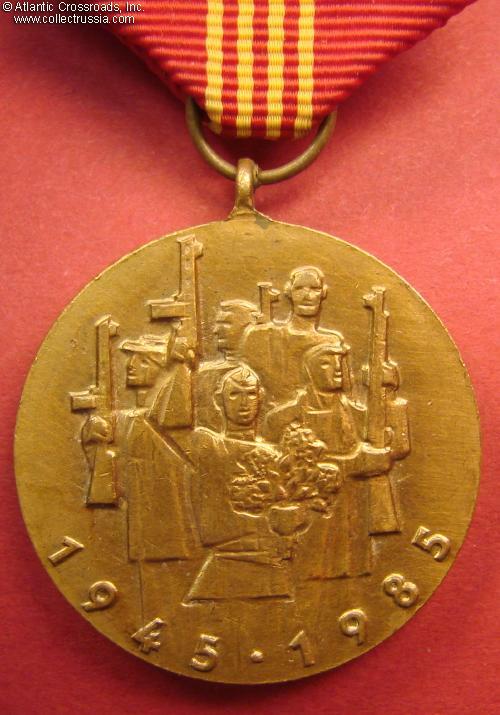 Shows a WW2 Soviet solider with a bouquet of flowers and armed Czech civilians behind him. Red suspension ribbon with 4 gold stripes in the middle. In excellent condition.